The Eleventh Doctor is travelling back to a long time ago in Star Wars: Episode IX! 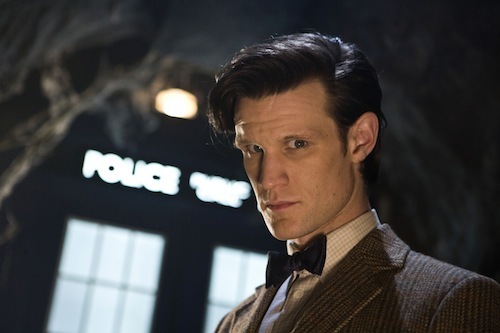 Matt Smith, best known for his roles in Doctor Who and The Crown, is reportedly playing a key role in the upcoming JJ Abrams-directed Star Wars sequel currently being filmed in London. Smith's not the first Doctor Who to appear in Star Wars. Tom Baker and David Tennant have appeared in Star Wars Rebels and The Clone Wars respectively. Smith will join fellow Doctor Who co-star Richard E. Grant, Dominic Monaghan and Keri Russell, and returning cast members Daisy Ridley, Adam Driver, Oscar Isaac and John Boyega. As a lifelong fan of both franchises, I can't wait. Do you think Matt Smith will be a First Order officer or Rey's father? Let me know in the comments below. LEGO has announced its newest Star Wars set, Betrayal at Cloud City. A spectacular homage to the iconic setting from The Empire Strikes Back. "Visit Bespin’s amazing metropolis in the sky—Cloud City! Relive a world of unforgettable moments from Star Wars: The Empire Strikes Back or add your own fun twists to the story with this #75222 LEGO Star Wars Betrayal at Cloud City set. The amazingly detailed set is divided into four sections, each depicting scenes from the classic movie. 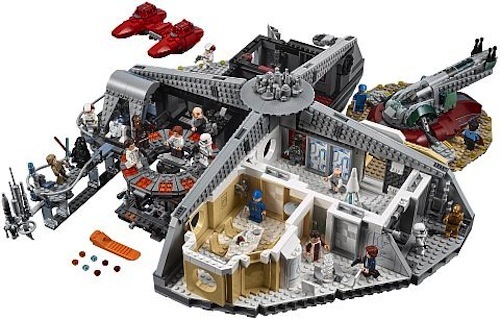 There’s a landing platform complete with Boba Fett’s Slave I ship, a detailed promenade, a dining room with seating for five minifigures, a garbage processing room with incinerator, and a sensor balcony for epic Luke vs. Vader Lightsaber duels. There’s also a carbon freeze chamber with a function to ‘freeze’ Han in carbonite, an interrogation chamber and prison cell, a secondary landing platform for the Twin-Pod Cloud Car, and so much more. 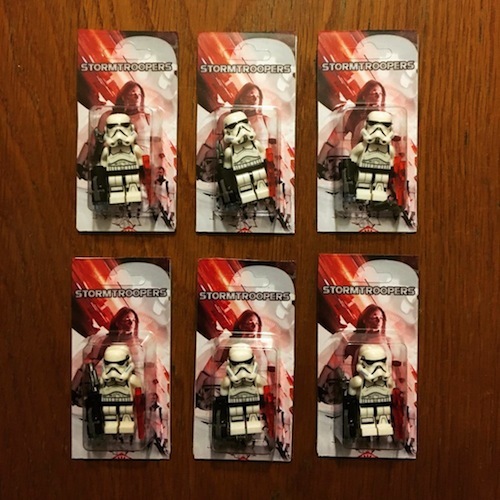 Add an astonishing eighteen LEGO minifigures plus two droids to the mix, and you have a set that Star Wars and LEGO fans of any age would be proud to add to their collection." LEGO Star Wars Betrayal at Cloud City will be available in-store and online (affiliate link) this October and will surely be popular with fans this holiday season. 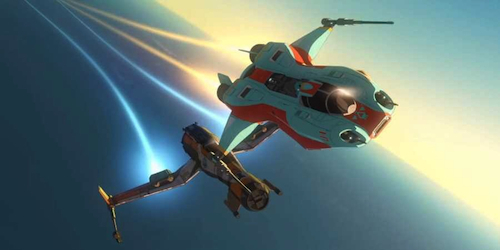 Lucasfilm has released the first trailer for its upcoming animated series Star Wars Resistance. 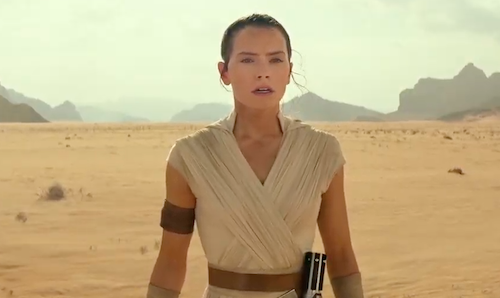 The anime-inspired series, set between Return of the Jedi and The Force Awakens, follows new characters with appearances from Poe Dameron, BB-8, Captain Phasma and General Leia. Star Wars Resistance premieres 10th October on the Disney Channel. 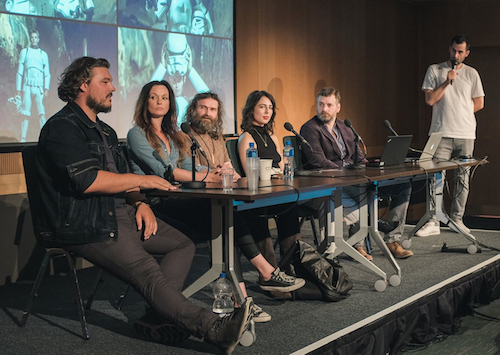 The Stormtroopers Star Wars fan film panel and screening, at Dublin Comic Con (DCC), was a resounding success in front of a packed audience in the Convention Centre. Irish comedian Stephen Mullan did an outstanding job to anchor the screening, panel interviews and Q&A panel with Irish actors Carolyn Bracken, Peter Cosgrove, Klancy Casey Williams, VFX artist William Bean and writer & director Micheal Fitzgerald. The Q&A with the cast and crew saw fans of all ages asking compelling questions, and each person was awarded a unique custom LEGO Stormtrooper commemorating the fan film. Stormtroopers is one of the best Star Wars fan films I've seen in a while and that's saying something given the quality of films lovingly crafted by creative folks in our community. Winona Ryder was linked to play Alita: Battle Angel back in the mid-nineties with director James Cameron (Avatar) at the helm. This December, Robert Rodriguez's live-action cyberpunk movie, produced by James Cameron and Jon Landau, is released in theatres. James Cameron has handed directing chores to Robert Rodriguez as he's in pre-production on sequels to Avatar. Presumably, these will go ahead following Disney's acquisition of Fox's film and television assets. Alita: Battle Angel seemingly has far more heart and soul than Ghost in the Shell starring Scarlett Johansson. Comparisons to Detroit: Become Human and Ready Player One are... welcome. That said, Alita's divisive large eyes, in homage to the original manga created by Yukito Kishiro, speaks to the uncanny valley but with cutting-edge visual effects further honed, since the teaser trailer, due to the release date being pushed back from July to December. Alita will go up against Bumblebee this holiday season. I've long loved Japanimation of which the live-action Alita: Battle Angel is so evocative. The opening shot from the trailer reminded me of Final Fantasy: The Spirits Within and Avengers: Infinity War. The Spirits Within was released in the wake of PS2 and Aki Ross (Ming-Na), evidently based on Sandra Bullock, adorned magazine covers everywhere in the summer of 2001. The hype was real. So much so, I discussed the upcoming movie with fellow PlayStation fans during lunch breaks. Whilst The Spirits Within was a critical flop and lead to the closure of Square Pictures, the CGI animation was phenomenal and holds up. Mostly. Alita: Battle Angel, directed by Robert Rodriguez, stars Rosa Salazar, Eiza González, Jennifer Connelly, Michelle Rodriguez, Mahershala Ali, Christoph Waltz, and Jackie Earle Haley. It will be in cinemas 21st December. Really looking forward to this and it stars my other teen crush, Jennifer Connelly. What are your thoughts on Alita: Battle Angel? Let me know in the comments below. Star Trek: Discovery's search for Spock is over! The CBS All Access Star Trek prequel has found Spock. 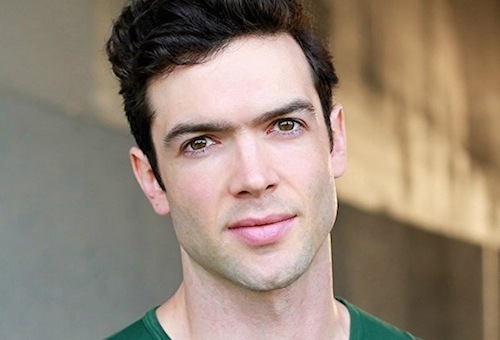 Ethan Peck, grandson of Gregory Peck, will play the iconic character, originally portrayed by the late Leonard Nimoy and most recently by Zachary Quinto in JJ Abrams' cinematic reboot, in the new season of Star Trek: Discovery. In a statement, showrunner Alex Kurtzman explained why he was "thrilled to welcome [Peck] to the [Star Trek] family". "The great Leonard Nimoy, then the brilliant Zachary Quinto, brought incomparable humanity to a character forever torn between logic and emotion," Kurtzman said. "We searched for months for an actor who would, like them, bring his own interpretation to the role. An actor who would, like them, effortlessly embody Spock’s greatest qualities, beyond obvious logic: empathy, intuition, compassion, confusion and yearning. "Ethan Peck walked into the room inhabiting all of these qualities, aware of his daunting responsibility to Leonard, Zack and the fans, and ready to confront the challenge in the service of protecting and expanding on Spock’s legacy." Star Trek: Discovery season 2 premieres on CBS All Access in early 2019. Netflix is expected to stream the series outside the US. 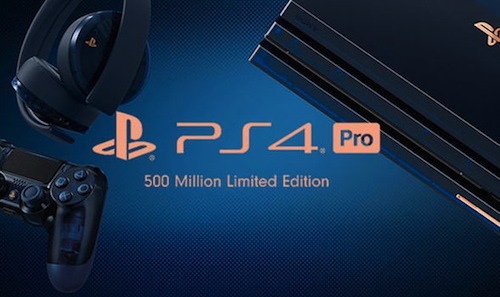 Sony celebrates 500 million PlayStation consoles sold with a stylish limited edition PS4 Pro. The highly sought-after console was available to pre-order from selected stockists in the UK from 10:00AM this morning. However, demand was so great, Smyths Toys website crashed, ShopTo sold out in seconds and Amazon UK mistakenly went live before 10:00AM. Such was the online retailer's error, the company has cancelled all pre-orders and contacted affected customers. Anyone interested in pre-ordering from Amazon will be able to do so from 10:00AM Wednesday here (affiliate link). A commemorative DS4 is available here (affiliate link). What are your first memories of PlayStation? Let me know in the comments below. Spider-Man (Tom Holland), Nick Fury (Samuel L.Jackson) and Maria Hill (Cobie Smulders) seemingly died in Avengers: Infinity War in the wake of Thanos' (Josh Brolin) universe-altering snap. Spidey's demise, in the arms of his mentor Tony Stark (Robert Downey Jr.), was especially poignant. 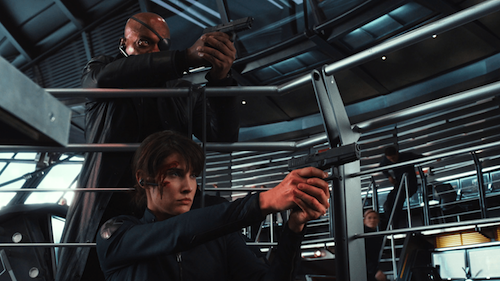 Now, Samuel L. Jackson and Cobie Smulders are joining the cast of Spider-Man: Homecoming sequel, Far From Home. The upcoming movie reunites the original cast. What is telling, is there's no announcement regarding Robert Downey Jr. reprising his role. This only adds to speculation his character will make the ultimate sacrifice in Avengers 4. Personally, an aptly heroic conclusion to Iron Man's story arc that began in 2008. Spider-Man: Far From Home is in cinemas July 2019. Samuel L. Jackson can be seen next in the Marvel Cinematic Universe (MCU), digitally de-aged, in Captain Marvel. Star Wars: The Last Jedi is seemingly the most divisive instalment in the franchise's storied history, culminating in a level of social media toxicity hitherto unknown. So much so, some fans have vilified cast members - most notably Kelly Marie Tran - and backed a campaign to remake Episode VIII. 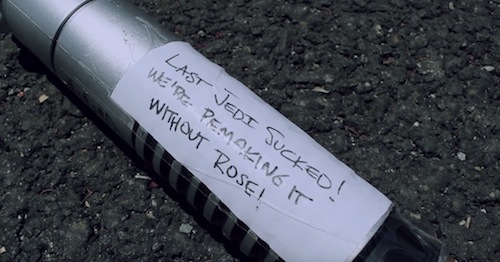 So, here's a Star Wars fan film in response to the controversy surrounding director Rian Johnson's The Last Jedi entitled Star Wars: Revenge of the Incels. Revenge of the Incels is framed as a remake of Johnson's Brick. “Not liking a character in a movie (is one thing), but then going to that actor’s social media pages and saying racist things? Like, that mindset is so just gross to me, and I just needed to make fun of these people. Movies are supposed to be fun and you’re supposed to have a good time, and they’re ruining that.” — Dana James Jones, co-creator of Star Wars: Revenge of the Incels. Star Wars: Episode IX, directed by JJ Abrams (The Force Awakens), is currently in production for release in December 2019. Star Trek fans (myself included) the world over are excited to learn Sir Patrick Stewart is reprising the role of Captain Jean-Luc Picard in a new Star Trek spin-off for CBS All Access. "I will always be very proud to have been a part of the Star Trek: The Next Generation, but when we wrapped that final movie in the spring of 2002, I truly felt my time with Star Trek had run its natural course," said the accomplished actor, who most recently played Professor Charles Xavier in the X-Men franchise. "It is an unexpected but delightful surprise to find myself excited and invigorated to be returning to Jean-Luc Picard and to explore new dimensions with him." Alex Kurtzman, the executive producer on the new untitled series, said: "It's a privilege to welcome Sir Patrick Stewart back into the Star Trek fold." 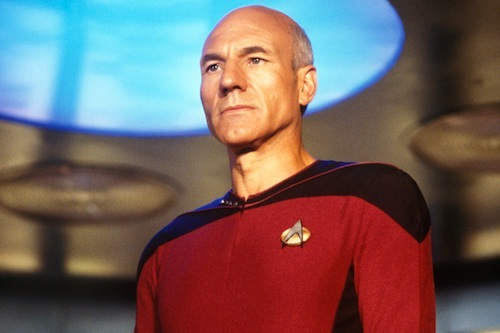 "For over 20 years, fans have hoped for the return of Captain Jean-Luc Picard and that day is finally here. We can't wait to forge new ground, surprise people, and honour generations both new and old," Kurtzman said in media reports. Kurtzman is the new series showrunner for Star Trek: Discovery and is overseeing the franchise's expanded television universe in a 5-year deal. 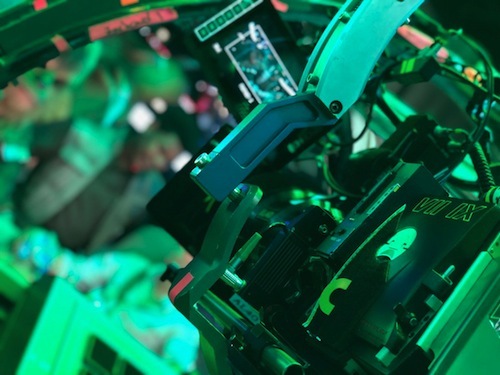 Director JJ Abrams took to Twitter to announce the start of filming for Star Wars: Episode IX. "Bittersweet starting this next chapter without Carrie, but thanks to an extraordinary cast and crew, we are ready to go. Grateful for @rianjohnson and special thanks to George Lucas for creating this incredible world and beginning a story of which we are lucky to be a part. #IX"
John Boyega (Finn) can clearly be seen in what appears to be the cockpit of the Millennium Falcon alongside someone who may be Daisy Ridley (Rey). 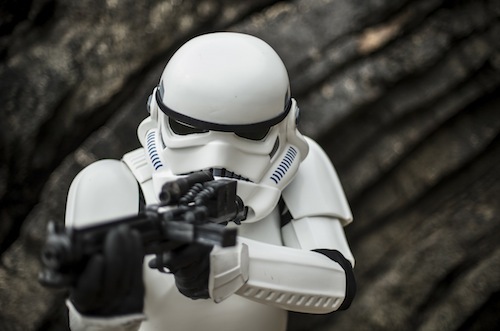 Star Wars fan film Stormtroopers, filmed on location in Ireland, has been a huge hit with fans around the world and now the cast and crew are appearing at Dublin Comic Con (DCC) this August. 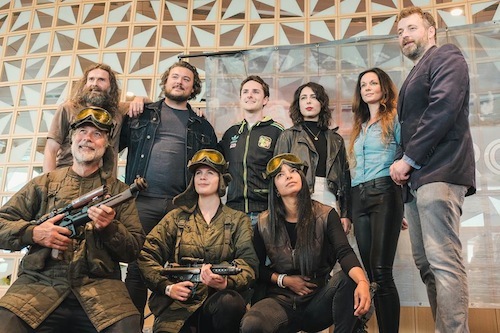 The Stormtroopers panel includes lead actors Carolyn Bracken, Peter Cosgrove, Klancy Casey Williams, VFX artist William Bean from Dog Day Media (known for Ed Sheeran's Songwriter) and writer & director Micheal Fitzgerald (known for Home & Away & Cork Racing Drive). Dublin Comic Con runs in the Convention Centre Dublin on 10th, 11th & 12th August. 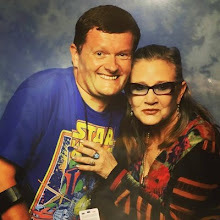 The last few tickets can be sourced from Dublin Comic Con here!